Home / Read / Do Video Games Increase Intelligence? From a parents point of view, video games are good for entertaining, but also a waste of time. It is an activity that can make young people sit on a sofa staring at their computer screen for hours while doing nothing. Some gamers become addicted to their games slowly becoming lazy, obese or live an unproductive life. Others may become aggressive or antisocial. Despite the claims that gaming is an activity for lazy people, there are many reports that show that video games can help to increase intelligence. There are several games created specifically for healthy purposes. Hence, it is wise to note that most things in life have positive and negative effects. Even though gaming is always classified as a form of entertainment, it has several benefits that movies and TV shows don’t. For instance, people who play action games regularly think faster than non-gamers. Today games are being used to facilitate learning in schools, colleges, and universities. Research also shows that digital games can be used to harness mental capabilities and increase intelligence. Nowadays there are many games that are being designed to have physical and educational benefits for the players. For example, games that target a moving object can be used to train hand-to-eye coordination and the brain to perform better. According to research, gaming is the same as reading a book or riding a bike. 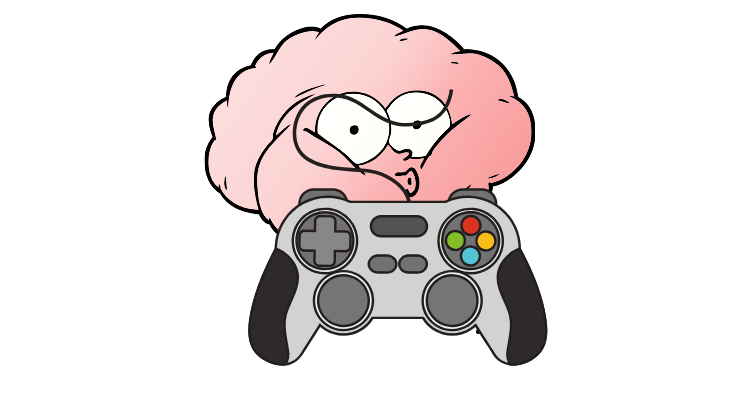 Here are some ways gaming can increase intelligence. 1. People who play action games regularly make accurate decisions. When you play fast-paced games, you are required to think and react quickly. When it comes to real life circumstances, gamers have a clear picture of the things going on around them, and can easily make decisions super fast. For instance, if you are a surgeon or in the military, the decisions you make are likely to be more accurate than those who do not play digital games. 2. Game players have more control of their goals and dreams. According to recent studies gaming is an activity that can give people more control of their goals and dreams. It is also an activity that can help to decrease nightmares. Based on the findings, gamers are likely to be lucid dreamers. This means that gamers have more control to what is happening in their dreams. Some people think it is because gamers normally live in a visual world. Also, gaming is said to provide protection from nightmares or dreams that can cause nightmares. 3. Video games can improve thinking patterns. By playing slow moving games, they can change your thinking behavior. Research shows that slow-moving strategy games can help to increase intelligence. These games help players to make wiser and decent decisions in real-life situations. For instance, a video game known as Quandary is a game that requires a gamer to discover ways to help out the settlers. This means the player needs to think hard to come up with winning strategies. Although it might be impossible for a game to automatically help players become wiser, this game introduces ideas that can be applied in real-life issues. 4. Gaming improves your vision. Playing intelligent games can help improve your eyesight. Some people identify eye problems with staring at the computer screen for a long time. However, research shows that gaming can help to improve vision. It enhances the vision by making the gamer a bit more sensitive to colors and different shades. Individuals who play action games, especially the first-person-shooter games are more advanced in identifying differences in contrasts. When they are playing games, they change the brain pathway that is responsible for visual processing. Playing online games such as Call of Duty, gamers must identify the enemy from far away. Your vision must focus more than usual to find the enemy’s location from different angles. This is vital to pilots and drivers who normally drive at night. 5. Games can help to improve focus, memory and multitasking abilities. Another benefit of playing intelligent games is that it can help to enhance focus, memory and multitasking capabilities. For example, a digital game known as NeuroRacer involves more than one task. The gamer is required to change direction while picking road-signs. Also, when playing action games, you need to train your mind to multitask. You need to search for your opponent, check your ammunition and use your weapons wisely. 6. Surgeons improve their skills when they play games. It has been discovered that playing digital games on the famous Nintendo Wii can enhance skills required for laparoscopic surgery. Based on studies, the game can help surgeons make informed and accurate decisions. The Nintendo Wii is being adopted in some institutions and by young surgeons to boost their training and perform better procedures. 7. Kids with dyslexia can improve their reading abilities after playing games. Another way video games can help increase intelligence is helping children with dyslexia. A small study was conducted recently and found that gaming can help kids with dyslexia read faster and more accurately. This is a huge development in the gaming sector. By enhancing your concentration and attention span, gaming can improve reading capabilities for children. 8. Children who play digital games have improved motor-skills. Another research was conducted in a school with kids aged 3 to 6 who regularly played interactive games. Research proved that these kids had better motor-skills than children who participated in non-interactive video games. The skills included throwing, catching, kicking and bouncing a ball. Gaming also enhances hand-to-eye coordination. This is very important for a child’s growth and development. 9. Video games can be used to teach biological processes. Games are not just for entertainment or a waste of time, it is important to note that digital games can be used to teach people about biological processes. They can be used to solve scientific and educational issues. Today, there are several games that have been developed to teach people about biological processes. Students feel motivated and are able to understand the subject better than any other learning method. Hence, if you are looking for an effective way to help your children enhance their intelligence, gaming is a good alternative to consider. There are online language games that your children can play to learn a different language or improve their own. However, moderation is important. We all want our kids to benefit but not be affected by video games negatively. Next Can Violent Video Games Cause Behavior Problems?